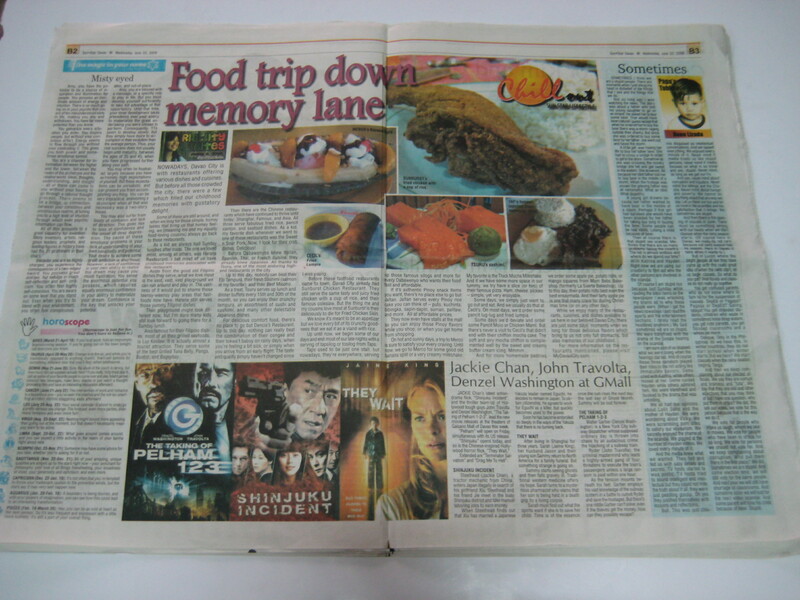 For my column on Sunstar Davao today, I took a Food Trip Down Memory Lane. 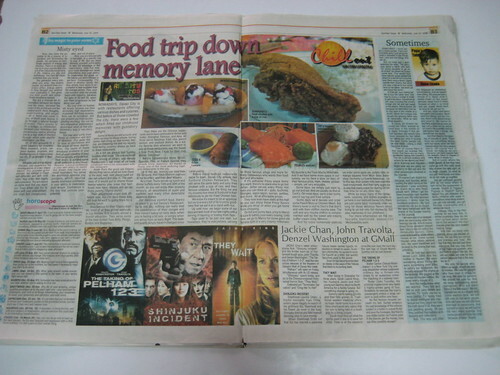 I look back to old food haunts that we used to go to when I was a kid. Some of these places, I still go to with my cousins and friends. Nowadays, Davao City is with restaurants offering various dishes and cuisines. But before all those crowded the city, there were a few which filled our childhood memories with gustatory delight. Some of these are still around, and when we long for those simple, homey tastes that bring us that homey feeling, we (meaning me and my equally food-loving cousins) always go back to these restaurants. This time the column available online at this link. I noticed that my editor doesn’t edit much of my work, which is a good thing, right??? Since I mentioned too many restaurants/establishments in the article, I have directed readers to my Davao blog for more information on the restaurants. I need ideas for next week’s column. You have any suggestions?